This post originally appeared on Geekwire. You might have asked someone recently, what the heck is going on with Bitcoin? Or maybe you are still wondering what Bitcoin is, or even questioning its relevancy? A lot has changed in the last year in the cryptoworld — most notably Bitcoin’s price. It’s a good time to dissect a few points about Bitcoin and the cryptocurrency market, things I couldn’t help but notice during my first year in the industry. The biggest point is the false dichotomy in the general perception of Bitcoin. I’d like to unpeel this and provide a deeper evaluation of the industry, because people who commit the mistake of false dichotomy do themselves a disservice by not taking a full view of what’s going on. A false dichotomy is a logical fallacy that presents two opposing views, options or outcomes in such a way that they seem to be the only possibilities: that is, if one is true, the other must be false, or, more typically, if you do not accept one then the other must be accepted. 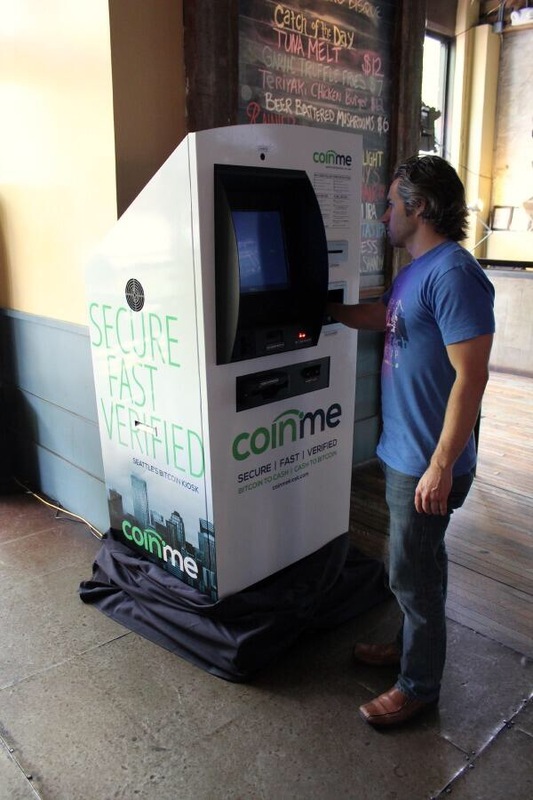 As one of the few people here in Seattle who frequently (attempts) to explain Bitcoin to non-technical people, and being the one who handles customer interactions for Coinme, I have noticed a problem. The media, tech executives and the general public talk about Bitcoin mostly by committing to a false dichotomy. Quite amusingly, I find people either preach the positives of Bitcoin or they dismiss it, like Gagnam style. One side thinks we’ll live in a libertarian world where Bitcoin will eventually be an anonymized currency to rule us all, and the other believes it’s only for crooks in the shady, dark interwebs. 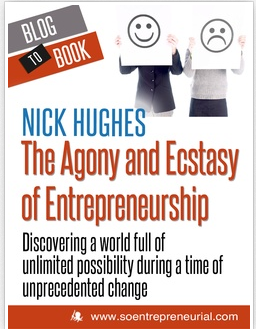 “It’s doomed to fail!” they pronounce enthusiastically. When I read about a new random Bitcoin startup here, or a larger funding round there, I start to understand how things are changing, and in what direction. The more I talk with highly technical people who mine Bitcoin or build on top of the blockchain, I learn we’re very early in something very special. Even though we aren’t living in Crypto-utopia, there is a subtle rumbling deep within the Internet we should pay attention to.Studying Bitcoin and watching the markets adjust has taught me a very important lesson: nothing ever ends up being 100% of what you think it will be. Innovation cannot be predicted, and the future cannot be known ahead of time. Correctly predicting the future is simply a function of luck. But seeing around corners can be a function of deep listening, observing and learning. So the best action for success is to (safely) get as close to the something as possible, and learn as much about it as you can, so you start to identify where the world is heading. Only then are you equipped with perspectives on where to invest your time, capital and energy. My time around Bitcoin has shown me that our world will not be changed as much by the cryptocurrency you read about today as by the underlying technology. The similarity is that Bitcoin is a transportation infrastructure that is decentralized, efficient and based on an open protocol. Instead of transferring packets of data over a dynamic network in contrast to the circuits and leased lines that preceded the Internet, Bitcoin’s protocol, the blockchain, allows trust to be established between mutually distrusting parties in an efficient and decentralized way. Although you could argue that the ledger is “centralized”, it’s created through mechanical decentralized consensus. What Ito is saying is that we could actually be witnessing the early stages of the next phase of the connected world, a time not so dissimilar to what we experienced in the early 1990s. An often quoted example of a false dichotomy was when the Internet first gained media attention in the early to mid-nineties. Back then, many people thought it was a fad, hard to understand and a waste of time and money. They simply couldn’t get their head around the fact that there were more than just two possibilities: A (success) or Z (failure). And therein lies the fallacy of the false dichotomy around Bitcoin. It’s clear to me and many others in the industry we are still in the “pre-browser” era of Bitcoin and blockchain technology. It’s there, but you really don’t know how to interact with it. What happens when we reach the “Netscape” moment of Bitcoin? What we witnessed with the Internet was the invention of the web and the browser, which commercialized the internet and brought with it every major corporation in the world. By ending up somewhere between A and Z, the world changed forever. Could Bitcoin — the currency — pop and crash? But seeing investment dollars in the cryptocurrency/bitcoin market grow each quarter, one has to believe that if Bitcoin the currency pops, then something else will emerge even better and more suited for the general public. I could take a guess but in reality I don’t have a clue. Yet committing the false dichotomy sin here is a grave mistake. An important point to understand is that Bitcoin, the cryptocurrency, is just one app that runs on the blockchain technology. People well-versed in bitcoin are familiar with the blockchain, the underlying open-source technology (or rails) that bitcoin the currency runs on. Looking deeper, theblockchain stack presents interesting solutions to problems which have hindered our society for quite some time — outside of finance. Issues such as trust, security and identity can be improved with applications built on the blockchain. In fact, here are a few other areas where the blockchain serves as underlying technology. OpenBazzar: An open peer-to-peer marketplace not controlled by any specific organization such as eBay or Craigslist. Ideas like this, using a decentralized platform to exchange goods and services, could change e-commerce as we know it. Factom: A conceptual framework for a system that secures and proves the authenticity of records, documents or other important types of data that are later enshrined on the Bitcoin blockchain. This could transform how we handle record-keeping online. Counterparty: An example of digitizing property and identity. Developers are starting to build networks that work in parallel to the Bitcoin blockchain to perform tasks that the bitcoin network can’t, but that make use of the bitcoin blockchain to, for instance, timestamp or validate work. The reality is that no one really knows what will happen next — that is why it’s called innovation. But something is going to happen in this area to improve our lives and I hope you don’t get caught up in thinking only A or Z is possible. Most likely somewhere in between A and Z we’ll see Bitcoin technologies enhance our digital lives. There’s more down there than you think. I recently sat down with Dave Ross of KIRO Radio to talk about our new company Coinme, bitcoin and the entire crytocurrency. It was fun, I hope you enjoy.